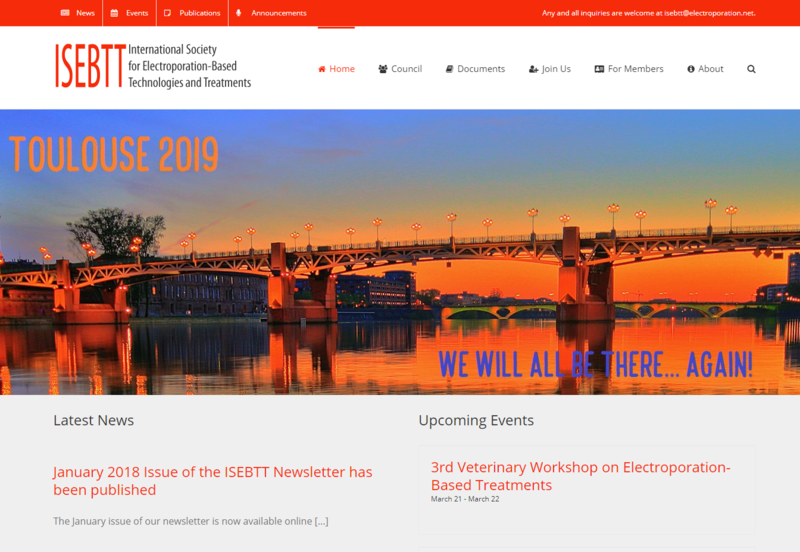 You are browsing the redesigned website of the International Society for Electroporation-Based Technologies and Treatments (ISEBTT). Please take a while to get to know our Society, and if you wish to contribute content to the site (news, event, announcement, or publication), please register as a member. You can do so by completing the form available by clicking here. There’s more information about what’s new in the attached newsletter (February 2018 issue – see below).